A notary public is a licensed public officer and qualified lawyer primarily concerned with the authentication and certification of signatures and documents for use abroad. Notarial certification is sometimes called “notarisation”. 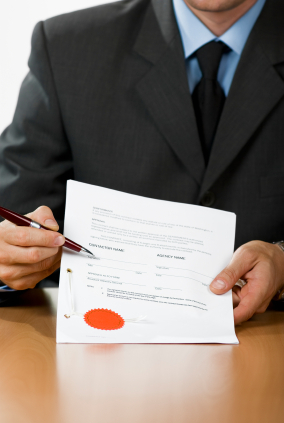 Often it is sufficient that a Notary witnesses a signature then certifies that the signature on a document is genuine. 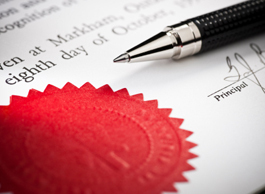 A Notary also helps where some countries require further formalities, such as obtaining an apostille from the Foreign Office or legalisation at a foreign embassy. 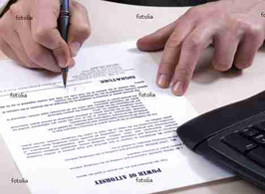 In addition a notary may also certify copies and translations of documents. Paul Gittins is a fully qualified Notary Public, based in Cambridge, with clients in Cambourne, Ely, Royston and Huntingdon, UK. You can receive the full range of notary public services, including apostilles and legalisation. In addition, notaries are also authorised, as described here, to conduct general legal practice. Same day and out of hours appointments are usually available. In addition, I can visit your business premises, and in some cases your home. However, travelling to your premises increases costs. Why Notary Public Services ? Notaries keep normal office hours. I can arrange to meet you out of hours or out of my office. This may cost more and take longer. Bring any relevant papers or documents that relate to the matter. Pay by cash or cheque upon signature/release of the notarised documentation. It helps a lot if you can send any relevant documents in advance by e-mail/post/hand delivery before your appointment. With the demands of good professional practice. For most matters, I’ll tell you the fee in advance. For more complex matters, I’ll tell you how my fee is calculated, usually based on time. However, there may be fees to pay to third parties, e.g. the Foreign Office or an Embassy. Here’s more information about cost and fees. If the document is straightforward, already prepared, and in the correct form, then usually it takes me between 20 minutes and half an hour. Clearly, if the document is not straightforward, or I must write the document, or make a proper copy, then it will take longer. Some countries want documents legalised, i.e. countersigned by their London Embassies. This takes several days unless you personally take the documents to the Embassy, and wait. The fees and procedures vary widely but I can provide a reasonably accurate idea of the time and cost. These notes are preliminary guidelines, intended to save my and your time and expense. To rely on the notary’s register and records. Vigilance is essential at every stage to minimise the risk of errors, omissions, alterations, fraud, forgery, impersonation, money-laundering, etc. It is not a mere rubber stamping exercise. 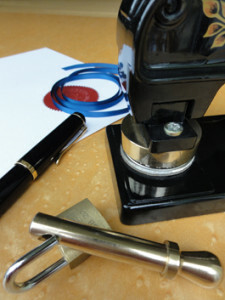 Your signature/sealing should normally be witnessed by the notary public. Please do not sign the document before our meeting. Who is well known both to you and to me. Register of directors, company secretaries, shareholders. Sometimes, it is necessary to obtain a Certificate of Good Standing from the Registrar of Companies. Normally it takes 3 to 7 working days to obtain this certificate. It is sent by the Registrar by post. It costs more to obtain this certificate the same or next day. Any deed poll or statutory declaration made on change of name. Appearers acting (innocently or otherwise) without due authority, etc. An overriding duty to the transaction itself. Notarisation is part of the international law or chain of evidence and must be scrupulously undertaken and reliable both in your own interests and the recipient’s. The personal I.D. evidence of each Appearer. The notary public has to check that each document to be notarised is fully and duly completed. Unfortunately, many documents considered to be “ready for signature”, are inadvertently defective, incomplete or inadequate. Incomplete and ineffective documents may even have been prepared by professional advisers or agents. Perhaps they were in too much haste, or not quite familiar with current notarial practice, procedure and developments. In some cases, official translations may be required before and/or after execution of the documents. Foreign documents, including covering correspondence and instructions, should be translated into English before execution of the documentation. English texts may need to be (re-)translated here or abroad into the foreign “specimen” translations. Although I am not a linguist I can often recommend a suitable professional translator. Professional translators should include their names, address, relevant qualifications and/or experience and should incorporate their own certificate, signed and dated, to the effect that their translated document is a true and complete translation of the original document, or a true copy, of which is annexed [t]hereto. Translations may need to be declared or sworn by the maker in proper form, according to circumstances. Failing this, the reliability of the translation is unproven; it may be suspect, potentially lethal, and it may be rejected. Similar to the issue of written translations, I may have to arrange for a competent professional interpreter to be available at interviews. In the case of an entity such as a company, partnership, society, club, etc., please discuss your notarial requirements personally with me, across a desk, at a preliminary meeting or by phone. Proof of the valid appointment of the present holders of such office(s), etc. Sometimes I, as a Notary Public, am required to attend a Company meeting. We can hold such meetings either at my offices, your offices, or elsewhere. The locations I visit include Girton, Histon, Impington, Milton, Bar Hill, Swavesey, St Ives, Huntingdon, Godmanchester, Ely, Bourn, Cambourne, Papworth, Saffron Walden, Great Abington, St Neots, Royston, Orwell, Harston, Fulbourn, Foxton, Babraham, Great Chesterford, Hinxton, Little Chesterford, Waterbeach, Newmarket and London. Subject to the guidelines described above, my responsibility is limited to the notarial formalities and appropriate incidentals. However, I am sometimes specifically instructed to draft or advise on the documentation, and provided with adequate time and details. Priory Street is off Huntingdon Road opposite Fitzwilliam College. There is a Residents parking scheme so there are usually parking spaces available. A parking permit is available on request for display in your car windscreen. Paul Gittins has lived in Cambridge nearly all his life. He graduated from the University of Leicester with a degree in law in 1988 and passed his Solicitors Finals Exams at the College of Law in Chester in 1989. Paul practised as a Solicitor in Cambridge from 1989 until 2010 and obtained his Diploma in Notarial Practice from the University of Cambridge Institute of Continuing Education in 2005. Paul has practised as a Notary in Cambridge from 2005 serving clients from individuals to blue chip corporations. His professionalism, approachability and willingness to see clients at their own offices make him stand out from the rest. Notaries in England and Wales are regulated by the Faculty Office of the Archbishop of Canterbury.